The Allerton Park Weight Pull Championship is now an established part of the annual calendar and is proving very popular. The pulls are run by Keith Butler, Kaytoo Alaskan Malamutes and are supported by the AMCUK. Novices are welcome at events and the events are run under rules agreed by the AMCA allowing participants to work towards their weight pull titles. The events are open to KC registered dogs and from all 5 sled dog breeds and take place at Allerton Park, North Yorkshire with the very kind permission of Lord Mowbray. All pulls are held on Sundays. Weigh-in commences at 09:30 am and entries close at 09:00. 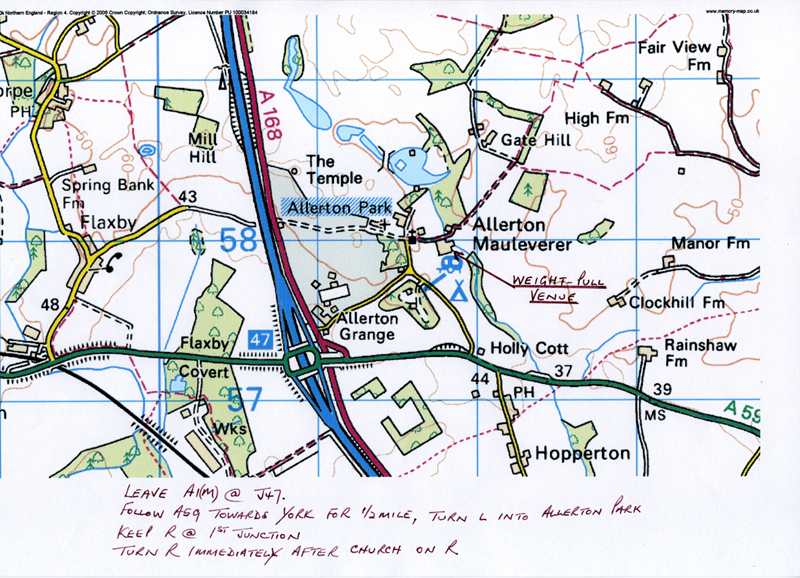 Directions to venue: Leave the A1 at Junction 47 and follow the signs for the A59 towards York. About half a mile from the motorway take a left at a gatehouse (signposted Allerton Park). Take the right hand road at the fork, pass the church on the right and turn immediately right. After a few hundred yards you will see farm buildings and a yard on the right which is where we will be.